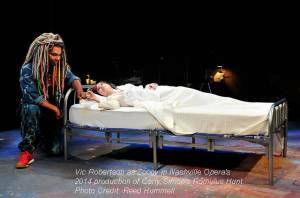 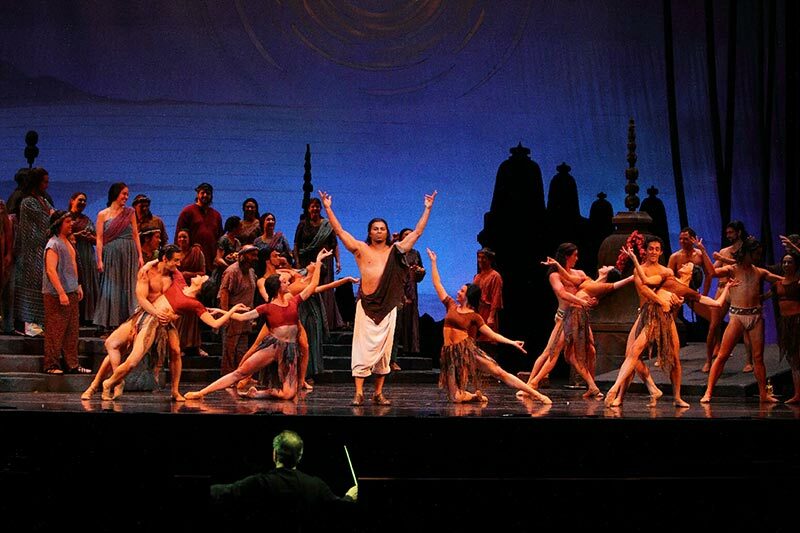 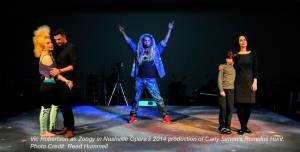 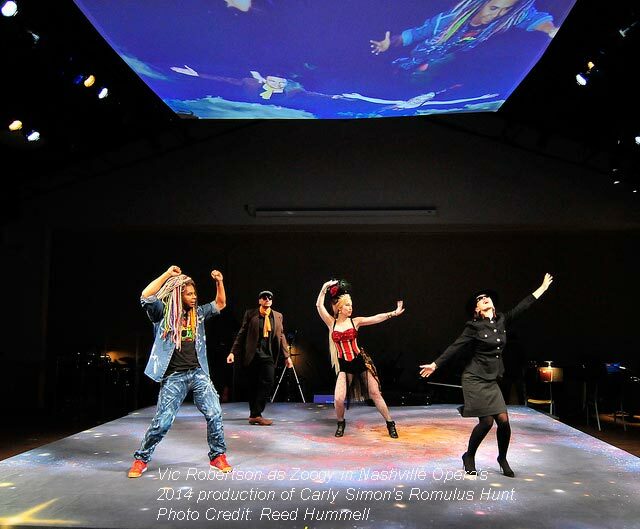 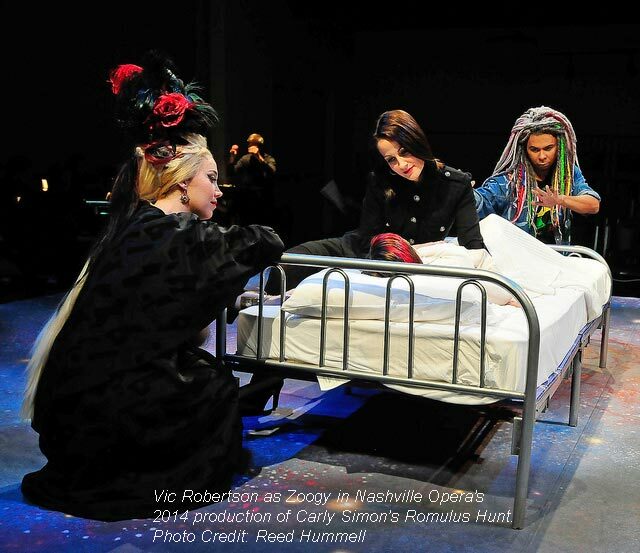 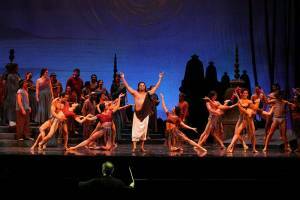 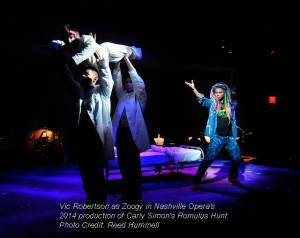 Vic Robertson as Zoogy in Nashville Opera's 2014 production of Carly Simon's Romulus Hunt. Triumpant performance at sold out New Year’s Eve show. 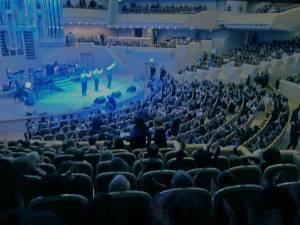 The audience clapped, sang along and was on their feet. 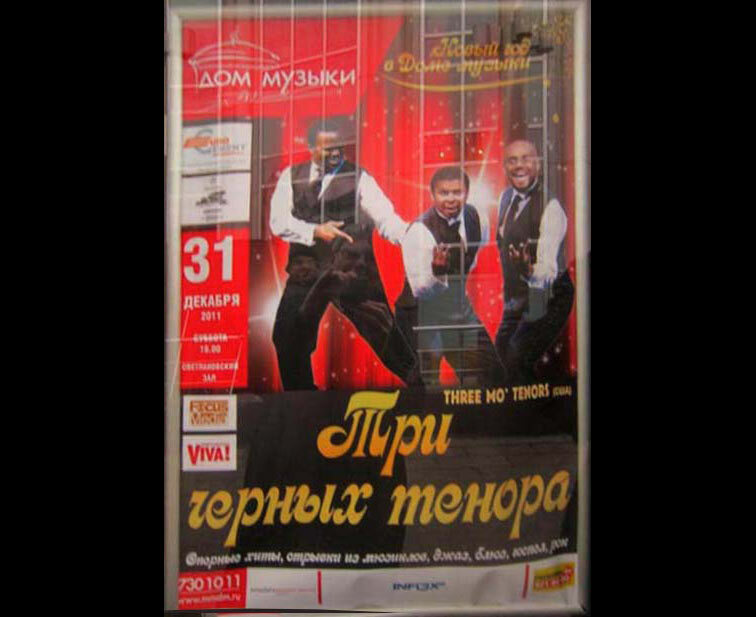 Poster advertising the New Year’s Eve 2011 show. 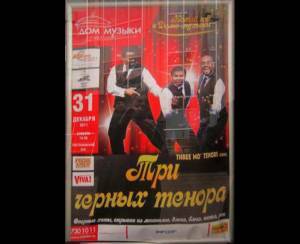 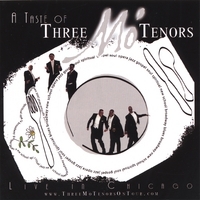 There’s no equivalent for “Mo’” in Russian so the title reads: Three black tenors”. 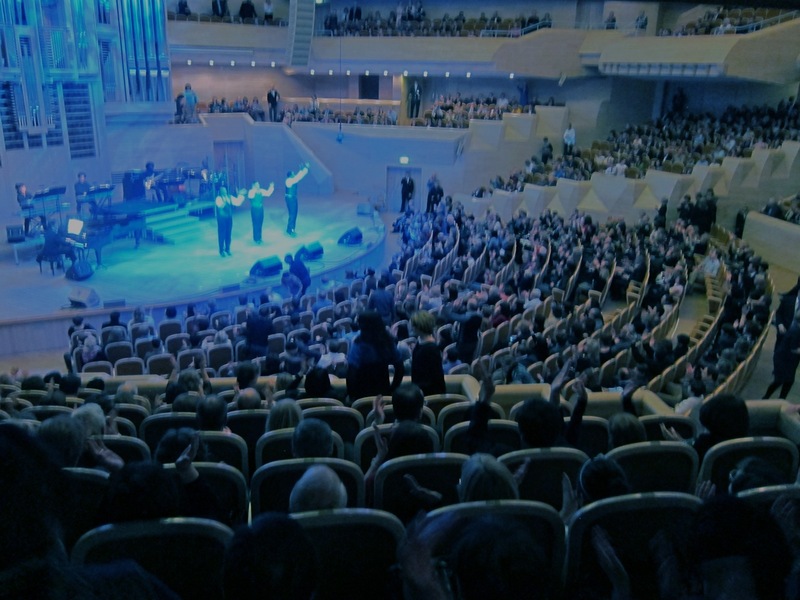 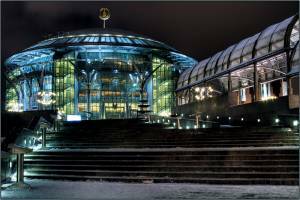 The international House of Music in Moscow. A beautiful venue with wonderful acoustics where Three Mo’ Tenors performed. 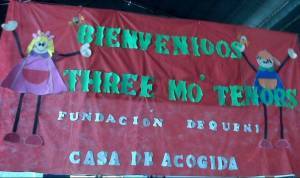 One of the master classes was with Fundacion Dequeni which seeks to provide opportunity for children affected by poverty. Here one of the members poses with L to R: Phumzile Sojola, Keith Burton (Musical Director), Kenneth Alston, Ramone Diggs. 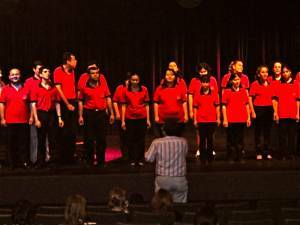 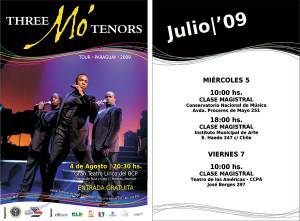 The Blind Choir of Asuncion performed for Three Mo’ Tenors at the start of the master class. 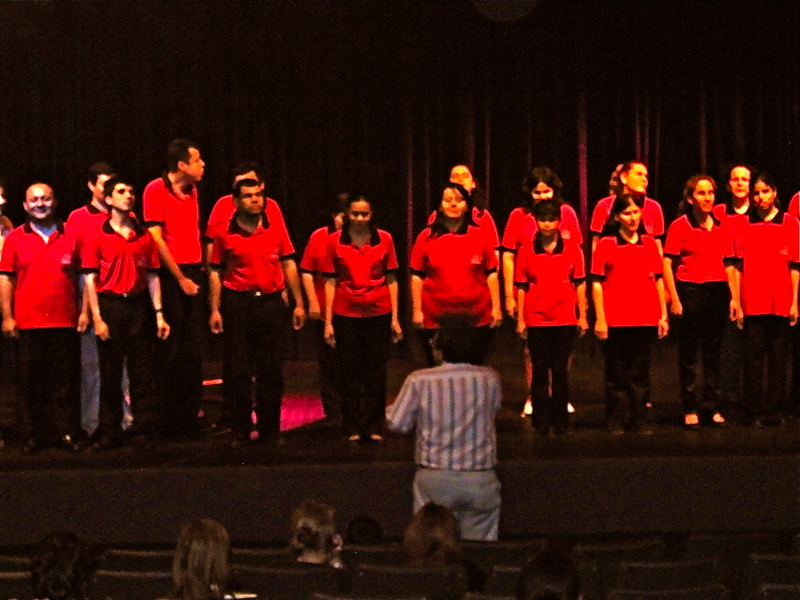 Such beautiful voices performing intricate harmonies! 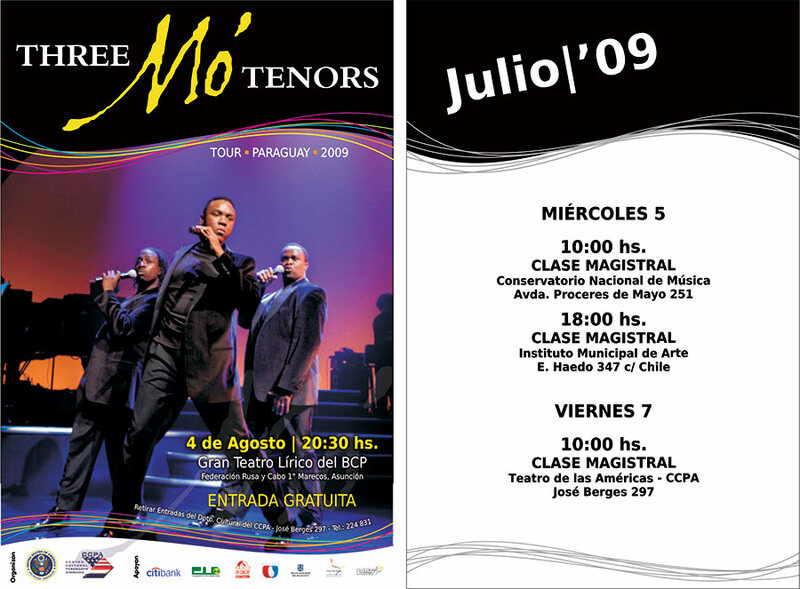 The show poster (left) and schedule of master classes conducted by Three Mo’ Tenors. The media attend the press conference held by the State Department announcing the show and workshops Three Mo’ Tenors would be conducting while in Paraguay. 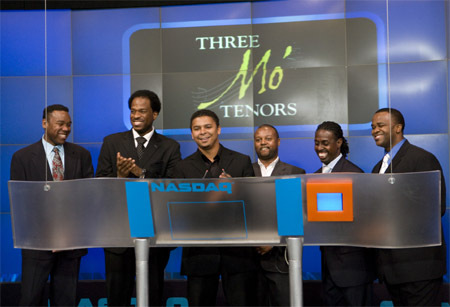 Tenors L to R: Ramone Diggs, Kenneth Alston, Phumzile Sojola. 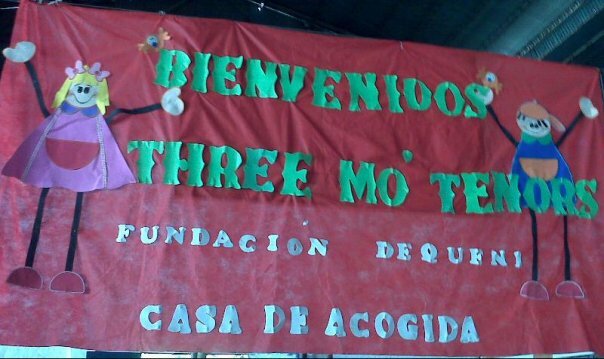 Children in Asuncion, Paraguay made a banner welcoming Three Mo’ Tenors. 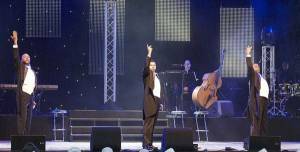 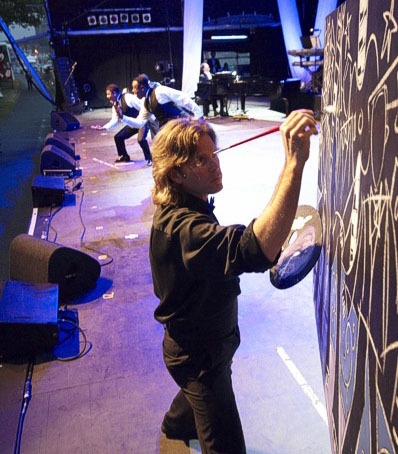 While Three Mo’ Tenors performed while Canadian artist Eric Waugh drew the tenors “live on stage”. The painting was later auctioned with proceeds going to charity. What started as a drizzle turned into a torrential downpour. Unfazed, the audience broke out their rain gear, enthralled. L to R: Ramone Diggs, Victor Robertson, Phumzile Sojola. 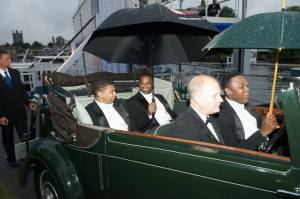 On the way to the stage in a vintage antique at the Henley Festival, a light drizzle begins... L to R: Victor Robertson, Phumzile Sojola, Ramone Diggs. 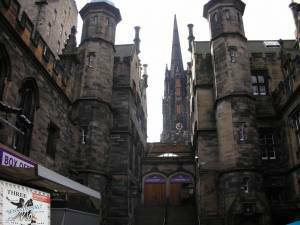 Beautiful nighttime shot of the city of Edinburgh. 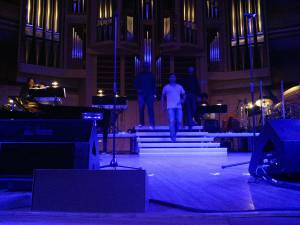 The wonderful historic venue where Three Mo’ Tenors performed. 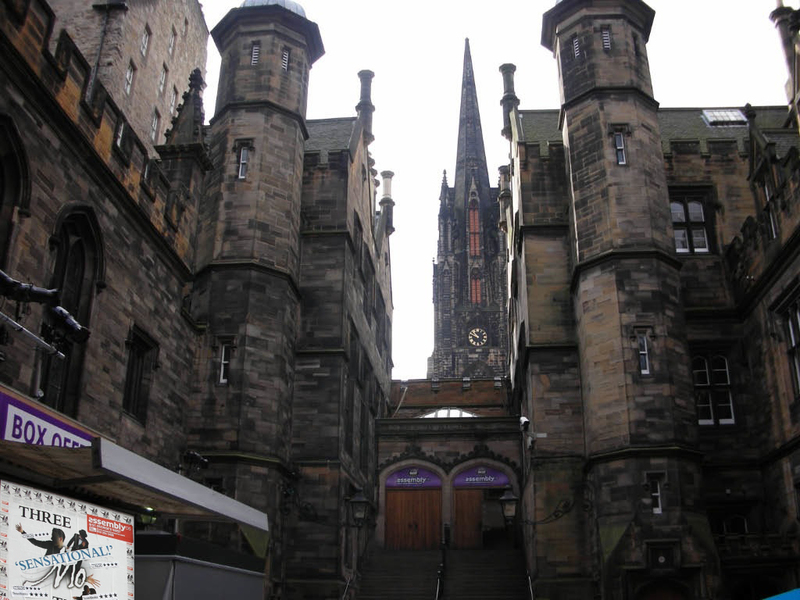 Our poster is visible in the lower left. 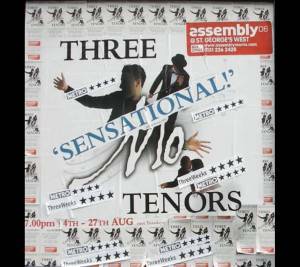 Three Mo’ Tenors cast. 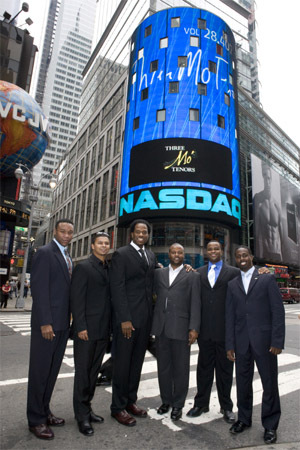 L to R: Duane A. Moody, James Berger, Kenneth Alston, Phumzile Sojola, Victor Robertson. 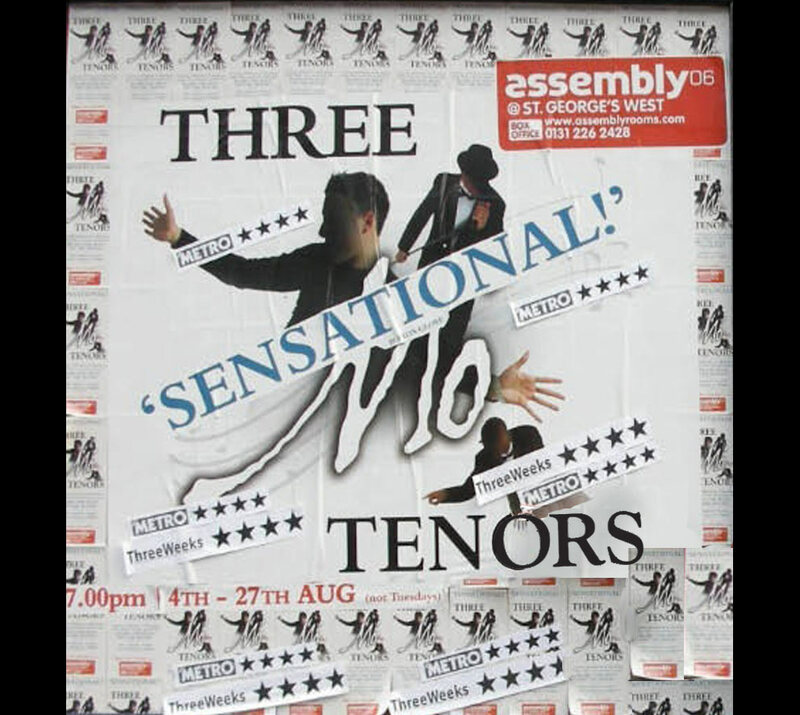 Poster of Edinburgh Festival Fringe where Three Mo’ Tenors had the highest selling show. 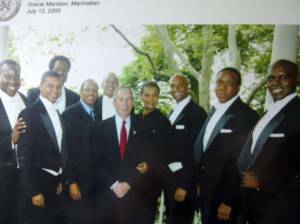 Three Mo’ Tenors performing at Gracie Mansion for Mayor Bloomberg and celebrities. 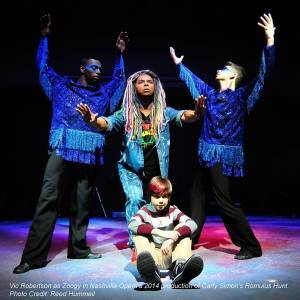 L to R: Ramone Diggs, Phumzile Sojola, Duane A. Moody. Cast and creative team of Three Mo' Tenors during the limited run at the Shubert with Mayor Michael Bloomberg L to R Marvin Scott, Victor Roberson, James Berger, Marion J. Caffey (Creator, Choreographer, Director), Willette Klausner (Producer), Duane A. Moody, Ramone Diggs, Kenneth Scott. 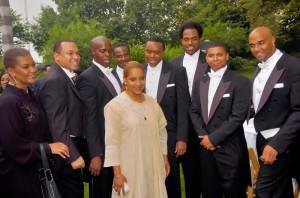 The tenors and producer Willette Klausner with the award winning actress/director Phylicia Rashad at Gracie Mansion. L to R: Willette Klausner (producer), Victor Simonson (Musical Direcctor), Kenneth Gayle, Philicia Rashad, Marvin Scott, Duane Moody, James Berger, Victor Robertson, Duane A. Moody. 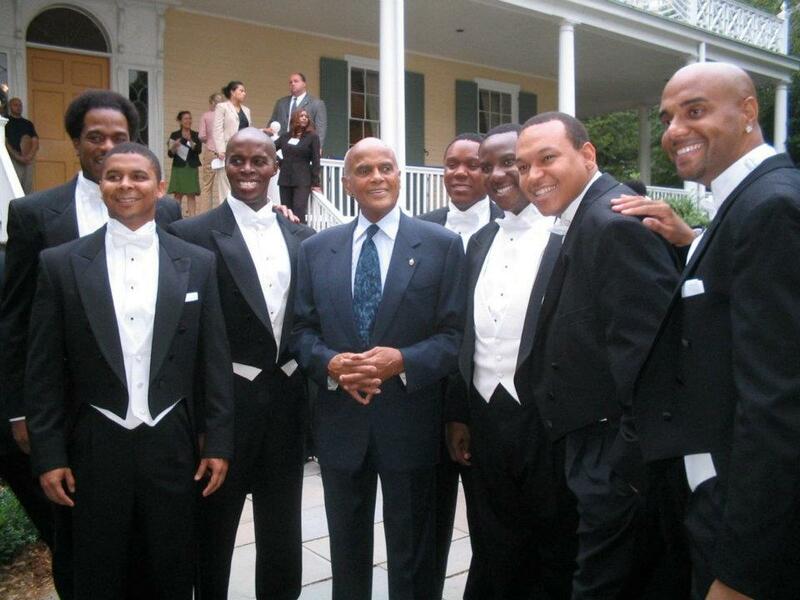 The tenors with legend Harry Belafonte after their performance at Gracie Mansion in NYC L to R: Victor Robertson, James Berger, Kenneth Gayle, Harry Belafonte, Ramone Diggs, Marvin Scott, Victor Simonson (Musical Director), Duane A. Moody. 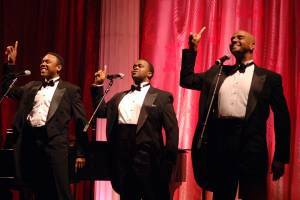 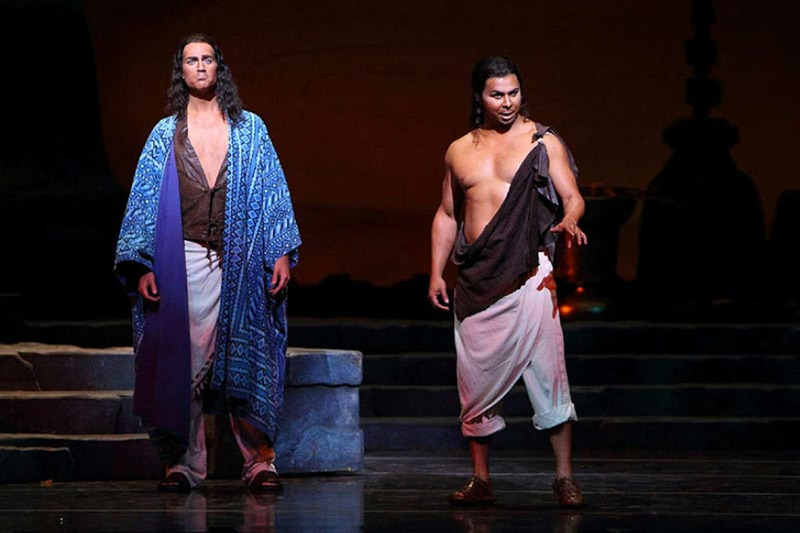 Renowned Opera Singer Jessey Norman with L to R: James Berger, Duane A. Moody, Victor Robertson. 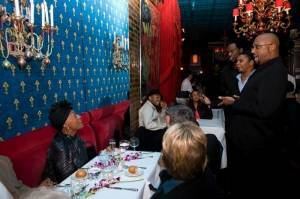 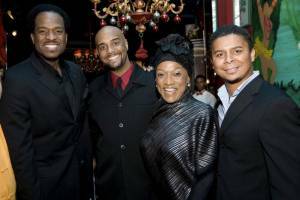 Opera legend Jessye Norman came to hear Three Mo’ Tenors perform at Little Shubert Theatre in New York City. After show at the near by Chez Josephine, the tenors delivered a spirited “Happy Birthday” upon learning it was, indeed, Ms. Norman’s birthday. 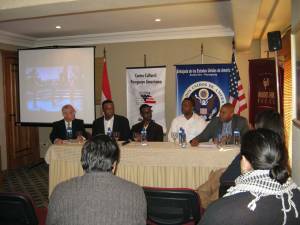 Seated: Jessye Norma, L to R: James Berger, Victor Robertson, Duane A. Moody. L to R: : Ramone Diggs, Victor Robertson, James Berger, Sean T. Miller, Phumzile Sojola, Kenneth Alston. 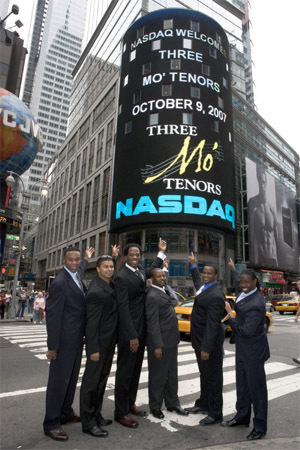 Three Mo’ Tenors in Times Square after ringing the bell to start the day’s trading on the NASDAQ. 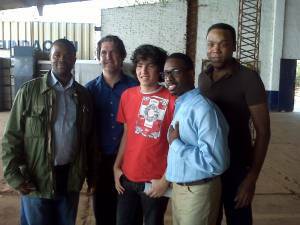 L to R: Ramone Diggs, Victor Robertson, James Berger, Sean T. Miller, Phumzile Sojola, Kenneth Alston. The two casts of Three Mo’ Tenors kick of the show’s limited engagement at the Little Shubert by ringing the bell to open trading on the NASDAQ. 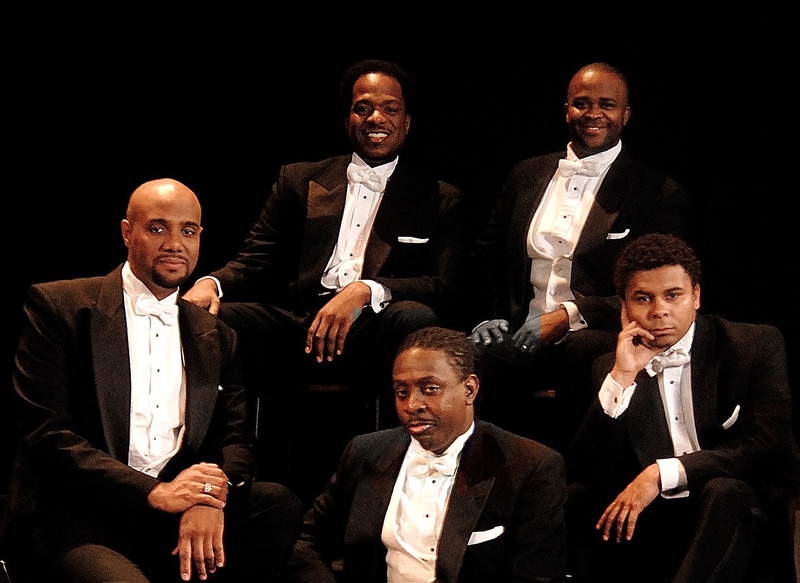 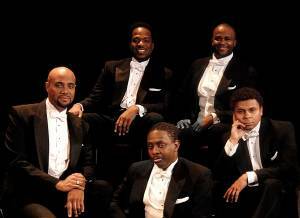 L to R: Ramone Diggs, James Berger, Victor Robertson, Sean T. Miller, Kenneth Alston, Phumzile Sojola.